If you found this page, you’re probably like me–scouring the web for just the right holiday, birthday or special occasion gift that is also eco-friendly and manufactured without child labor or near-slave labor. I am thrilled to report that this year, giving green gifts and socially conscious gifts that are beautiful and well-made is easier than it’s ever been. Below are my top ten web sites for wonderful, eco-friendly gifts that are sure to please. Two of the collections are my own, filled with gifts I’ve given and would love to receive myself. If you were to purchase something while visiting them, I might earn a few pennies. I am not affiliated with any of the other collections, except as a shopper like yourself, and receive no compensation or reward for sharing them here. 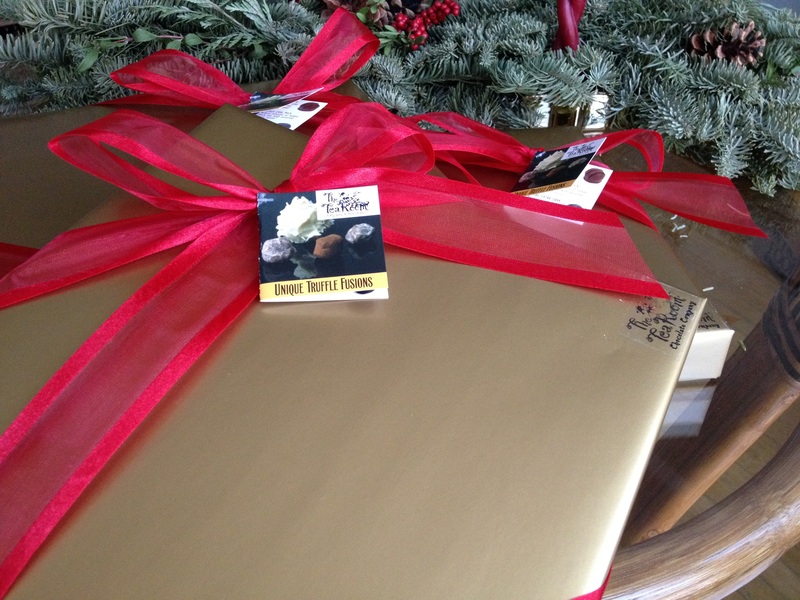 Three of my favorite gifts, whether I’m on the giving or the receiving end, are certified Fair Trade organic chocolate, organic USA-grown flowers, and special gift baskets. You just can’t go wrong when you give treats and flowers that make your loved one’s eyes widen and crinkle with pleasure. The folks at Uncommon Goods offer an extensive selection of gifts for all members of the family, as well as for the home and for just about any occasion. As a cook who loves using fresh herbs, I would be thrilled to receive their glass herb keeper, which costs less than $25! Another favorite place to shop is The Climate Store. All of their gifts are totally in alignment with their mission: “To make it fun and easy for people to reduce their carbon footprint.” Someone I love would be thrilled to get their solar charging backpack, but if that’s too pricey, we can choose from an entire selection of gifts under $50 that would please the most ardent environmentalist. Almost nothing makes me as happy when I’m shopping as helping an independent artist or crafts-person. When my sweetheart and I got married last year, we purchased all our uber-green wedding favors and attendant gifts on Etsy. We were thrilled to find a seamstress there who specializes in organic bridal dresses as well. She custom-made four adorable, hand-made, organic cotton flower girl dresses. With the holidays in full swing, Etsy artisans have plenty of handmade wares to offer. Is there a baby in your life or on the way? Over the years, I’ve given dozens of baby gifts, and many of them came from this collection. It’s fun and easy to give well-made organic, truly non-toxic and sustainable baby gifts that don’t put too big a dent in the budget. Take a look at the fabulous gifts available at The Ultimate Green Store. Why they even have eco-friendly gifts for your pets! And if there’s a wedding in your future, check out the bridal registry just for the bride and groom who are dedicated to reducing their ecological footprint. Is luxury your thing? Money no object? Lux&Eco has you covered with what they claim are the finest in conscious living gifts. What do they recommend for the well-heeled stocking stuffer? Can you say a $15 tube of very special toothpaste? Wow. On the other hand, I wouldn’t turn down one of their lovely living walls, if someone gifted it. Oh, and they have a wedding registry too. Associated with National Geographic, Novica brings us beautiful, sustainable hand-made gifts from all over the world. I’m particularly enamored of their intricately hand-carved coconut shells, which you really need to see. Hardly a gift-giving season goes by that I don’t purchase at least one gift from Ten Thousand Villages. They’ve been helping indigenous artisans and craftspeople in third world cooperatives for decades. Many of their gifts use upcycled and recycled materials to make traditional clothing, pottery and musical instruments. One of their most popular items is their little ceramic pot of shea butter, produced by a Ghanian women’s collective since 1999. An all-online company that sources artwork and crafty gifts made with environmentally friendly, recycled and sustainable materials, eco-artwork.com offers plenty of unique and unusual gifts. One of my favorites is the Bobo, the beautiful, reusable cloth gift wrap, as much fun to give as to receive, and one of those gifts you’re actually expected to pass along! Of course, the most precious–and eco-friendly–gift of all is time, and it doesn’t cost us a cent. If you can manage it, spend more time with your loved ones and less worrying about finding the perfect gift. May your holidays and your every day be filled with laughter, celebration and love. Kathryn Grace, also known online as ecogranny, feels incredibly lucky that she gets to take care of her wee granddaughter three days a week. The rest of the time, you might find her out for a walk, or in her kitchen trying out a new recipe. If she’s not there, she’s burning up her keyboard, speaking out about social injustice, food and water security, and sharing her recipes and green living tips. Learn more on my About Me page. This looks an excellent resource of web sites for eco-friendly gifts! Also yes I agree time spent with people is so very precious. Great ideas. I need to book mark this so I can refer to it when I need it. Have a successful new year. I think I need to pin these ideas to my Eco-friendly board. You have so many great ideas here. Thank you! You’re welcome, Olivia. Thank you for your interest! These are wonderful ideas Kathryn, thank you. I love your final comment about spending time with people – so true. BritFlorida, thank you. It’s my favorite gift to receive, and I hope it’s the favorite gift of those who receive it, although I like to take along a little something they can unwrap, just because we all have a bit of the little kid in us that still likes presents, don’t we? True Kathryn. I forgot to tell you that my other half was fascinated by your article too. Sweet! Perhaps he found something special on one of the lists for his other half, hmmm?